With its King Tut crowds still going strong, the Museum of Art in Fort Lauderdale announced Tuesday its next major exhibit: A cache of rare biblical treasures, including one of the Dead Sea Scrolls. The famed Temple Scroll, one of the Dead Sea Scrolls that rocked the biblical world with their discovery in the Judean desert in 1947. 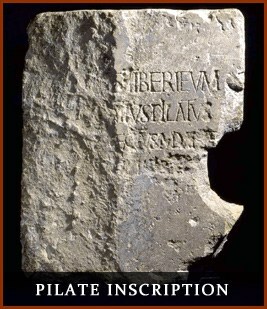 An inscription stone with the name of Pontius Pilate, the Roman governor who condemned Jesus to death, according to the New Testament. 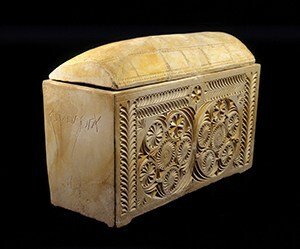 The burial box of Caiaphas, the high priest who the Bible records as handing Jesus over to Pilate. The exhibit, set for Dec. 7 through April 15, will show the roots of Christianity in Judaism, and how the faiths influenced each other, museum officials said. Religion has shaped our legal system, our politics, our ethics, even our disagreements,” said museum executive director Irv Lippman. 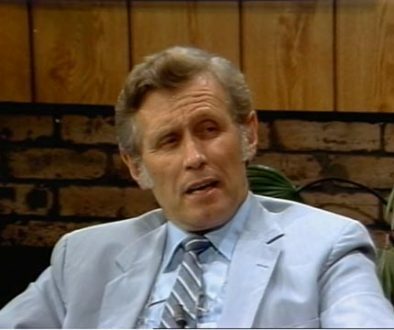 “It’s very important to know the fundamentals of Christianity, and get a dialogue of Christians and Jews. Also in the exhibit will be a large stone menorah, from a sixth century synagogue in the Galilee area of Israel; a mosaic of glass and stone, from the floor of a church in the southern Negev area; and a drawing of a menorah from first century Jerusalem. 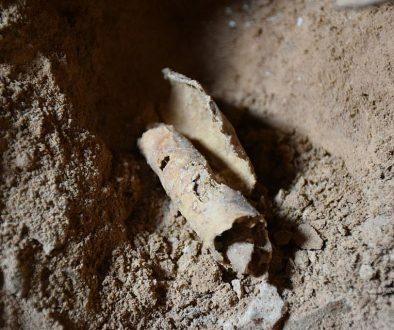 The show will also include portions of a typical Holy Land Byzantine church, with objects gathered from 10 sites — from Beersheba in the Negev to Nahariya in the Galilee. The objects fit together naturally into a unified whole, according to museum officials. The local museum is one of only three in the U.S. that will host the exhibit, Lippman said. The Maltz Museum of Jewish Heritage in Cleveland will show it first, starting April 1. After Fort Lauderdale, it will go to the Michael C. Carlos Museum at Emory University, Atlanta. “Cradle of Christianity” follows several other exhibits at the Fort Lauderdale museum with religious or cultural themes. Most popular, of course, has been the King Tut show, with 550,000 tickets sold since it opened on Dec. 15. In 2004, the museum hosted the painting of a huge image of the Buddha for a visit of the Dalai Lama to South Florida. The previous year saw papal artifacts from the Vatican collection. March 2006 Newsletter	New discoveries point to ‘cave of John the Baptist’!